OUR PEOPLE have for thousands of years lived in relatively independent societies. They managed their resources efficiently to cater for their needs. They lived in harmony with their environment if not always with their neighbours. The environment was the source of their physical, spiritual and intellectual nourishment. They fed on the food it provided, the lessons it taught and the mythical spirits it harboured. The environment defined them and confined them to a locality such that there is an enormous diversity of linguistic, cultural and phenotypical features of tribes, even within the same region. Everyone was deeply rooted to the land of their forefathers and fought to defend the integrity of the tribe. While individuals had certain property rights, such as the ownership of personal artifacts of value, the land was owned communally. Hence the fruits of the land were regarded as communally owned and, as such, everyone in society expected a fair share – not necessarily an equal portion. This balancing act between the interests of the individual against those of the tribe is what I refer to as the Melanesian Equilibrium. The Melanesian Equilibrium was the genius of our forefathers who juggled with the Economic Problem – human wants are infinite while the means of satisfying those wants are scarce. Many beliefs, laws, values, practices and systems of social, economic and political organisation were aimed at achieving that balance. Hunting, gardening, fishing, marriage, birth and death all had cultural norms aimed at satisfying everyone and maintaining social order. This is indeed still the case in many traditional Melanesian communities despite contact with the outside world. 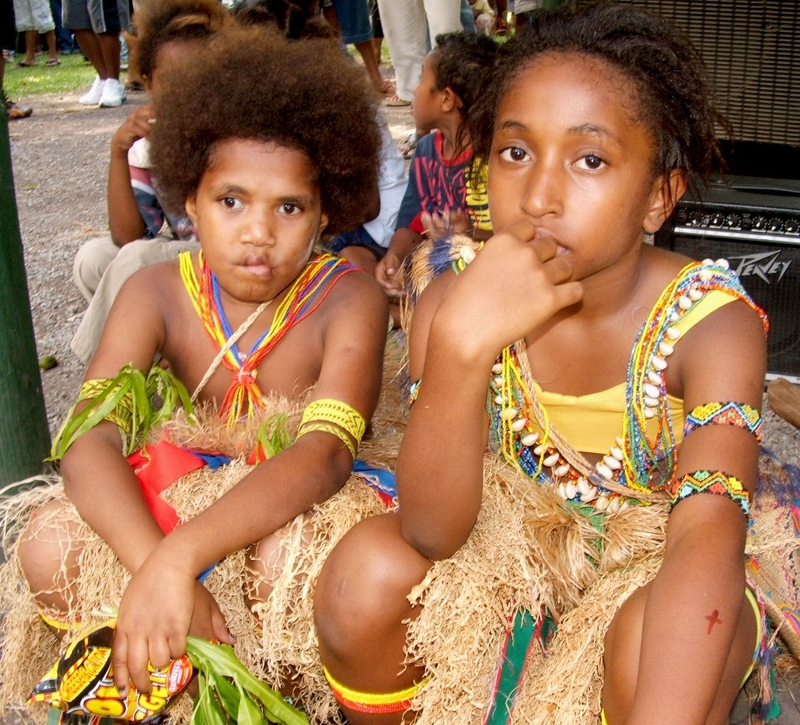 Melanesians in remote, isolated communities depend on their traditions as a means of survival. The modern State has little or no influence in how they live their lives. It is this perceived ‘normality’ in many rural communities that sometimes causes western educated Melanesians to dispute references to poverty in Melanesia. This is what Sir Michael Somare was referring to when he told the Australian Press Club the no one in Papua New Guinea was going hungry. Is it poverty, if a rural Telefomin man only wears astanget and does not own a laplap? Is it poverty that a child in Balimo eats sago for breakfast, lunch and dinner? How do you define poverty and wealth in this present time when Melanesians live in two realities? We live in the reality of our ancestral land and in the reality of the modern State that exists on that land. Our cultural practices are as relevant to us as modern medicine, science and political organisation. The failures of our modern State is not a reflection of the failure of our Melanesian traditions. In fact, the modern State has been arrogant and ignorant of the wisdom of traditional Melanesia. Unlike our feudal Polynesian and Asian neighbors, we traditionally recognised leadership based on merit. It was always the strength of traditional Melanesian societies. Warrior leaders defended tribal lands and wise elders decided on gardening, trading missions, marriages, etc. In the modern State, anyone can buy leadership, buy resources, buy decisions and buy their way anywhere. Instead of protecting the national interest, the State is a tool for pursuing personal ambitions. The modern State steals from its people under legal pretexts of Constitutions and Acts of Parliament. Instead of sharing the fruits of the land with the people, individual purses are enriched. Traditional Melanesian governance worked because the people and their leadership were always accountable to one and other. More importantly, the people had direct contact with the leadership and could shape decisions in the interest of the majority. That is not the case with the political arrangements of the modern State. Modern leaders live in foreign countries or the national capital and are rarely with their people. There is a disconnect between both parties, thus the people are never heard or the leadership simply ignores their cries. The electoral cycle allows leaders to be totally unaccountable for five years at a time. Democracy lasts only as long as polling. The Melanesian Equilibrium has been tried and tested for millennia, and that Melanesians continue to survive within that reality is testament to its robustness. It is about leaders chosen on merit and being held accountable. It is about wise planning and decision-making based on respect for the people’s wishes and environmental sustainability. It is about warriors defending the national interest and sovereignty. It is about a population educated to be of use to society. Above all it is about the fear of God and respect for the rule of Law. Many Melanesians have sadly forgotten what defines them and how they came to be. Caught up in materialism, cargo cult, and the lure of power they will do anything to get what they want; even at the expense of their fellow citizens.